If you are locked out of your Ford vehicle with a dead battery and have a keyless entry system, here is how you can get inside. If you have a Ford vehicle with a keyless entry system you may want to learn this "trick." In the event your vehicle is locked, and then the battery dies, it may be difficult to get into since the fob won't open the power locks. So, in this scenario, how do you enter the vehicle to then open the hood for a jump start? This scenario played out for Torque News readers Jackie and Eddie, who were away on vacation when it happened. "I looked at that manual for 20 minutes and I could not find anything on this subject," said Eddie to Torque News. The experienced AAA driver also did not know the trick to opening a Ford Edge when the battery is dead. As it turns out, the solution is very simple - once you see how it works. The first step is to reveal the metal key by releasing it on the fob. Once that is out, look under the driver's door handle near the rear of that handle. There is a spot into which you can insert that metal key. Now, while pushing the key in, slide the plastic handle section rearward. It will come off. A key cylinder slot is not revealed and you can use the key to turn it and unlock your Ford. Once you have finished, the plastic part slides back on and clicks into place. For more details, please see the video below. If this story helps you please let us know in the comments below. 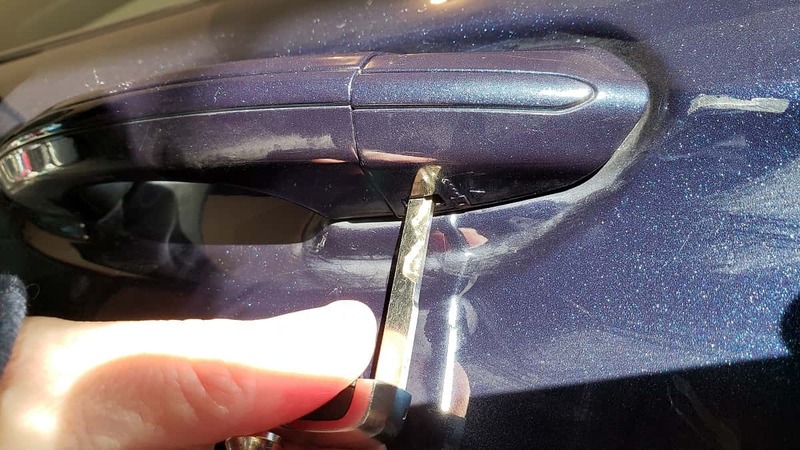 Great article this happened to me with a rental Edge, it appeared dead, not responsive to the key fob unlock button. However it was some kind of electrical glitch. I found the key in the fob but had no idea it was used to first slip the plastic cover off to expose the actual key. Avis tried to charge me for the assistance, frankly if I didn't work for one of Avis's largest clients they would have been successful.